Manage meetings online. 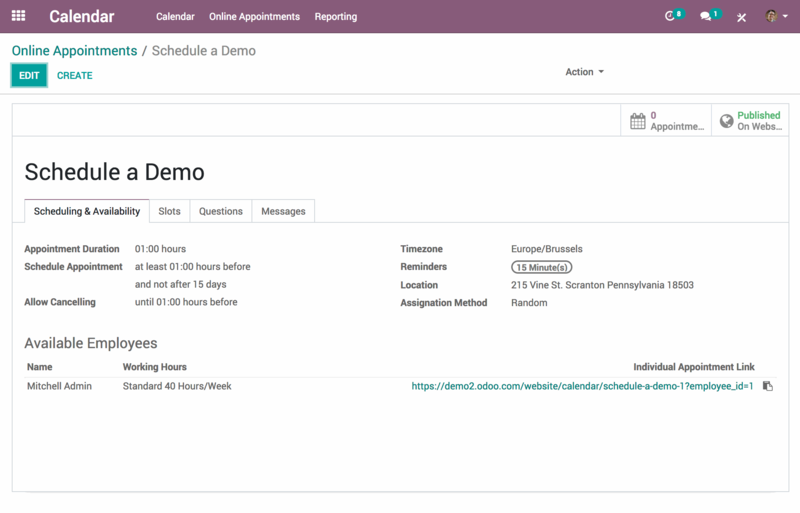 Automate your scheduling process. A self service booking system that works online and 24/7. 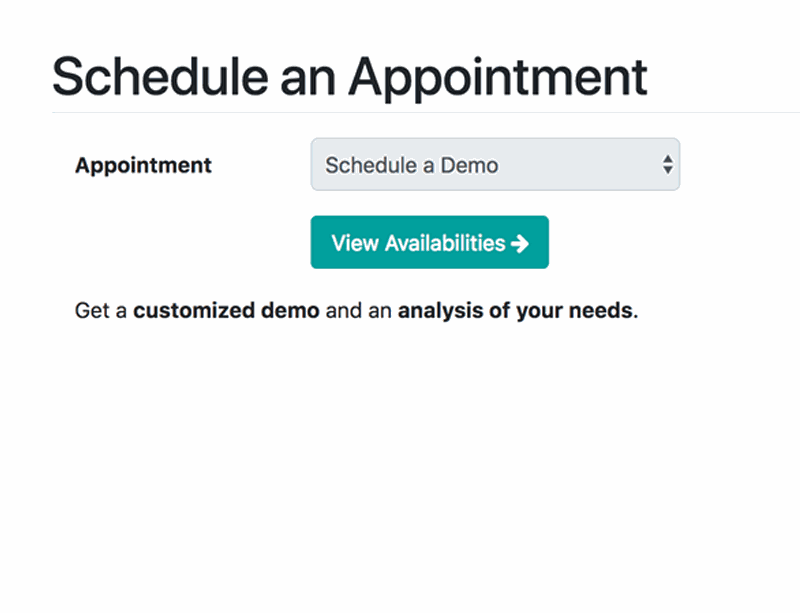 Let your clients schedule appointments for themselves at their own convenience (even outside business hours!) straight into your calendar. Embed your meeting links on your website, in your email signature or through social medias and watch your agenda fill up effortlessly. 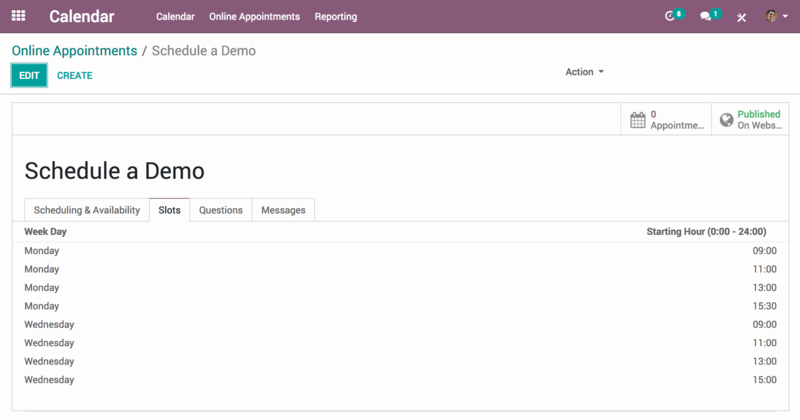 Your clients can choose the meeting type and the person they want to have the meeting with. They select their preferred time slot based on your availabilities. The event is automatically saved in your calendar and both parties receive a confirmation by email. No after-hours or double booking. 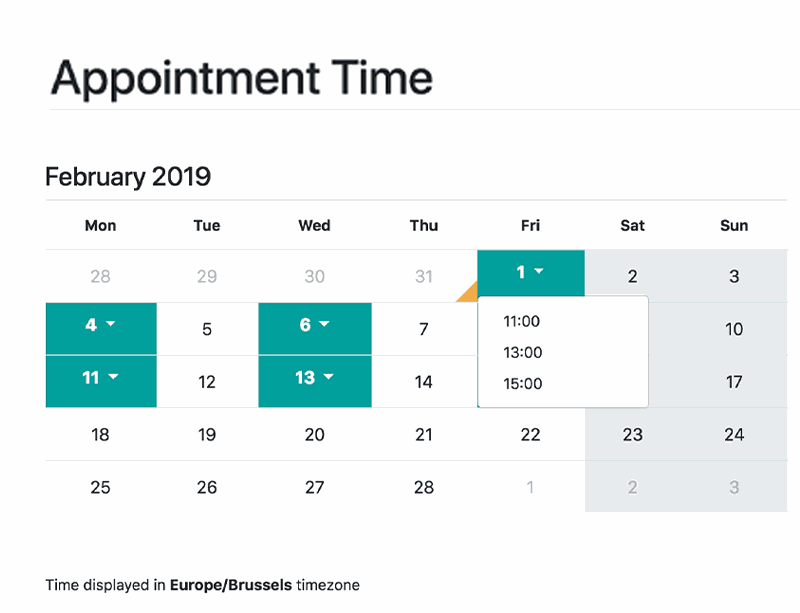 Set your working hours day by day and customize time-slot intervals for maximum flexibility. Synchronize your agenda with Google Calendar to block availabilities simultaneously and in real-time when an event is created. Avoid frustration and increase staff productivity. 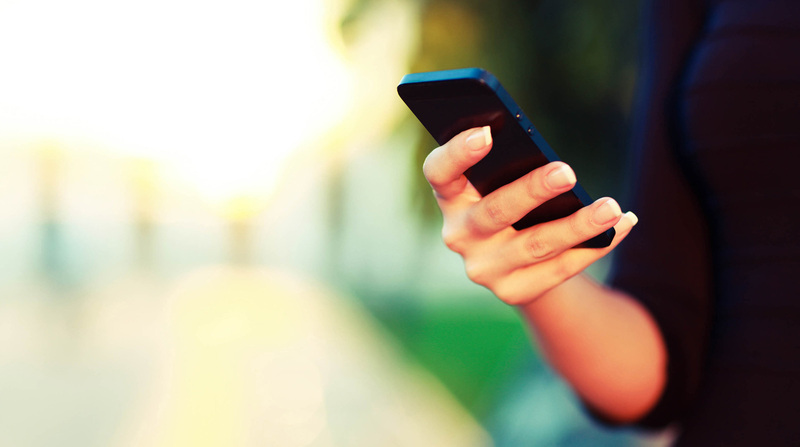 Send automated email/SMS reminders to make sure that your clients won’t forget their appointment. Allow them to add the meeting to their calendar in one click. If they cannot make it, they can still reschedule based on your availabilities! This is a reminder for your appointment with John on 10/12/2017 at 1pm. Get well prepared and provide top-notch services. 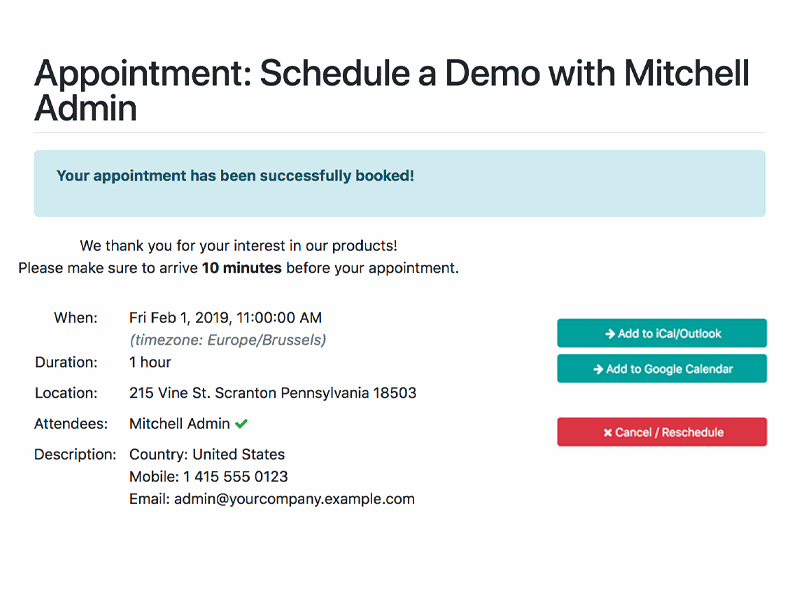 Configure your intake forms based on business needs and collect everything you need to know about your prospects in advance straight in your mailbox. ADSOFT is one of the world’s top business consulting firms. We help global leaders with their organization's most critical issues and opportunities. Copyright © ADSOFT 2019. All right reserved.